Recognizing the need for objective, empirical and comprehensive research on disarmament and security, the General Assembly specified that UNIDIR would be an autonomous entity within the United Nations structure, so that its work could be conducted in scientific independence. Through its research projects, publications, small meetings and expert networks, UNIDIR promotes creative thinking and dialogue on the disarmament and security challenges of today and of tomorrow. UNIDIR explores both current and future security issues, examining topics as varied as tactical nuclear weapons, refugee security, computer warfare, regional confidence-building measures, and small arms. Working with researchers, diplomats, government officials, NGOs and other institutions, UNIDIR acts as a bridge between the research community and United Nations Member States. 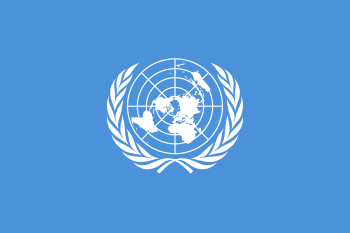 UNIDIR's work is funded by contributions from governments and donor foundations. UNIDIR is based in Geneva, the primary centre for security and disarmament negotiations, home of the Conference on Disarmament, and global focal point for humanitarian concerns such as human rights, refugees, migration, health and labour issues. UNIDIR works on the basis of the provisions of the Final Document of the First Special Session of the UN General Assembly Devoted to Disarmament and also takes into account relevant General Assembly recommendations. The work programme is reviewed annually and is subject to approval by the UN Secretary-General's Advisory Board on Disarmament Matters, which also functions as UNIDIR's Board of Trustees. The Director reports yearly to the General Assembly on the activities of the Institute. (d) Carrying out more in-depth, forward-looking and long-term research on disarmament, so as to provide a general insight to the problems involved and stimulating new initiatives for new negotiations. The Mandate is from Article II, Paragraph 2 of the Institute's Statute, which may be found here. All inner workings and research done by UNIDIR is supervised by a Board of Trustees and the Director. The Board also serves as the Secretary-General's Advisory Board on Disarmament Matters. Each member must be knowledgeable in security, arms control and disarmament. Each member is elected by the Secretary General to serve a two-year term.